What I love most about New York is the food scene. 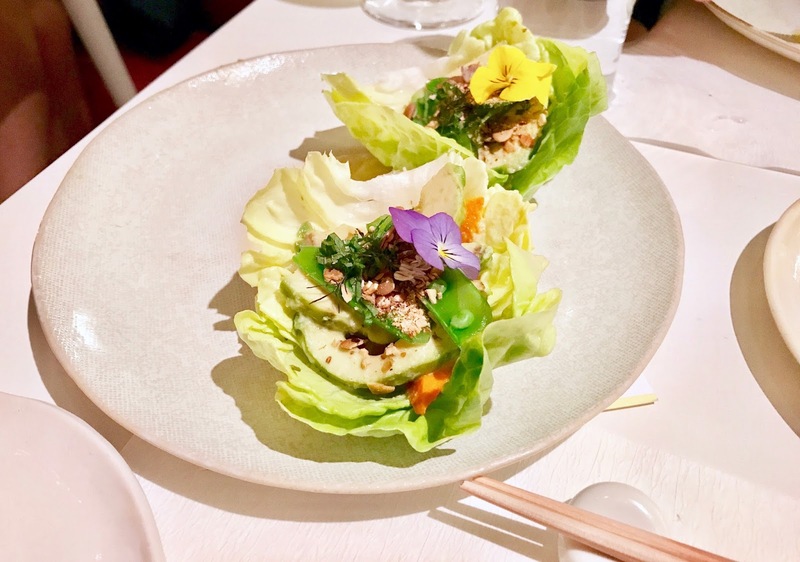 There are interesting and exciting restaurants opening every single day, and they all offer something different, whether it's a taste of a foreign cuisine or a new food philosophy. 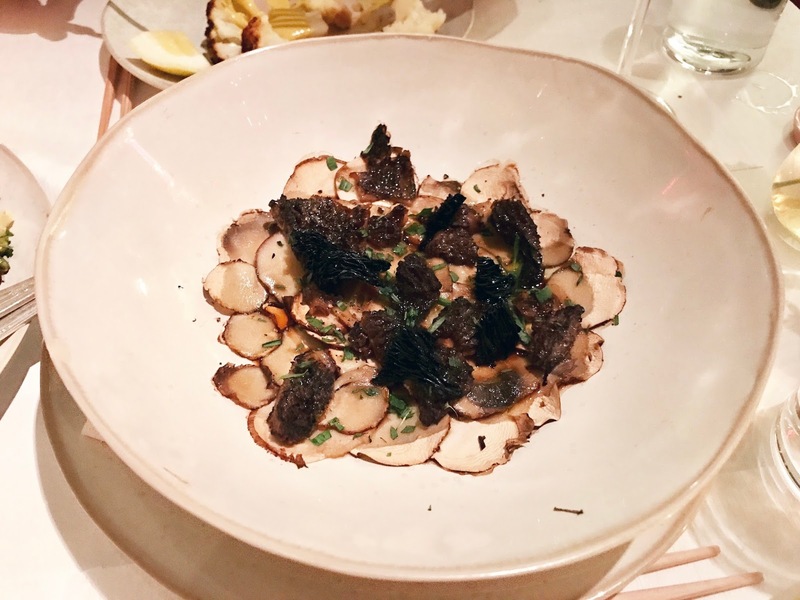 When I heard about Jean-Georges Vongerichten's new place, acbV, I couldn't wait to try it. 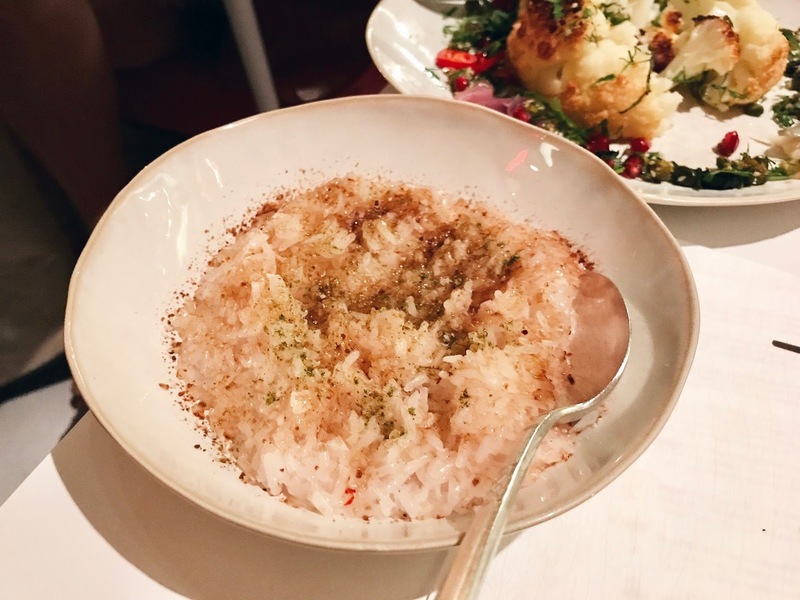 I hadn't been this excited about a restaurant opening in New York because abcV's menu is completely vegetarian and mostly plant-based (yes, vegan!). My expectations were high, so I brought along a meat-loving friend last Wednesday for a proper verdict of abcV. The restaurant is located right beside it's older sister ACB Kitchen, in the Flatiron District. The space is very white, bright and beautiful. It's very well-lit at night so it kind of works well both day and night. Although we tried abcV for dinner, they also serve breakfast and lunch. There are some seats at the bar, but if you fully want to experience the food you should book a table (more comfort + better lighting). We were given the menus which came with a little sheet with an explanation of different ingredients and their benefits. A nice touch which helps diners who are not familiar with this kind of food. Our waiter recommended us to order 6 to 7 dishes, but we went for 5 and that was more than enough. I'd say you could even do 4, depending on the size of your chosen dishes. We started off with the prettiest of the bunch: avocado lettuce cups, toasted cumin, serrano and lime, pepitas. As flavorful as it looks, with a mix of textures which is hard to describe. Very delicious. Next up were the market carrots with stone ground nut and seed butter, chilies and lime. A very satisfying dish thanks to the nut/seed butter (the waiter told us what was in it and it must have been more than 10 different nuts and seeds, crazy). 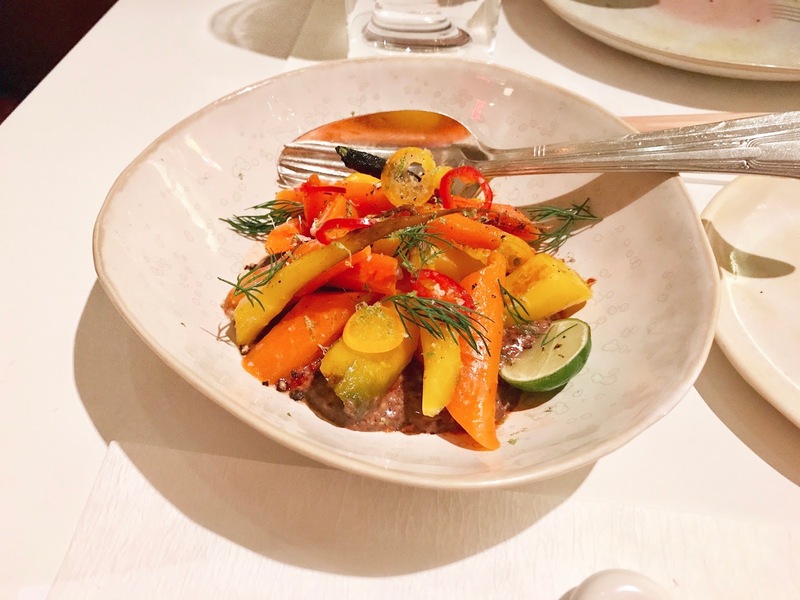 The only thing I didn't like about this dish is that the carrots were a bit overcooked, I just prefer them a little crunchy. The following dish seemed to be one of the most popular ones since I saw it on everyone else's table: whole roasted cauliflower, with turmeric-tahini and pistachios. It came with a turmeric tahini sauce (kind of a curry sauce) which went perfectly with the roasted cauliflower. 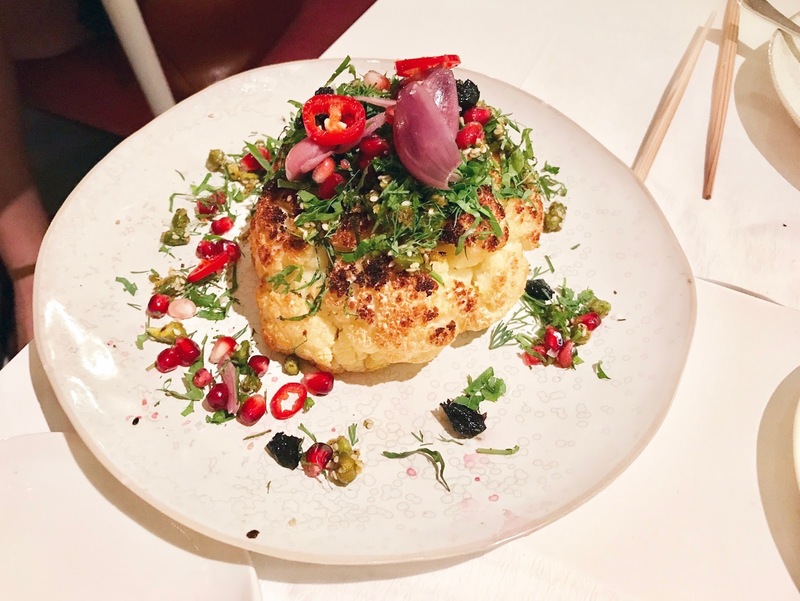 Last winter I often made roasted cauliflower because it's such an easy and tasty dish! I loved it with the herbs, chilies, pistachios, and pomegranate. The next two dishes were recommended to us by our waiter, who said these two dishes taste fantastic together. The warm crimini and morel mushrooms, sherry vinegar, garlic, tarragon and the coconut sticky rice, coconut sugar, kaffir lime, sea salt. First of all, I'm a huge fan of mushrooms and morels are probably some of the best-tasting mushrooms out there. The crimini was thinly sliced into carpaccio and on top, there were some crunchy fried crimini mushroom gills. Amazing dish, especially in combination with the sticky coconut rice which might be the best rice I've ever eaten in a restaurant. Every dish was so tasty and beautifully presented. I was very impressed with a number of different ingredients in some dishes, and I'm well aware of the enormous amount of work it must take to create dishes like these. Not to mention the skills it takes to create a plant-based meal which is so flavorful and well-balanced. Even my dining partner was very impressed, while he normally does not care so much for vegan food. So that says a lot! 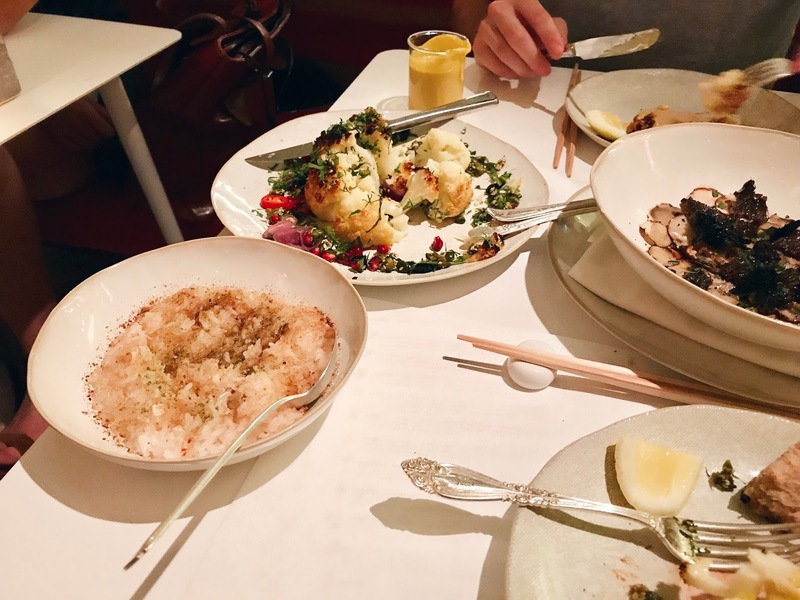 Overall, I think abcV is one of the best restaurants I've tried in New York. The food is so refined, pure, delicious and thought-out. 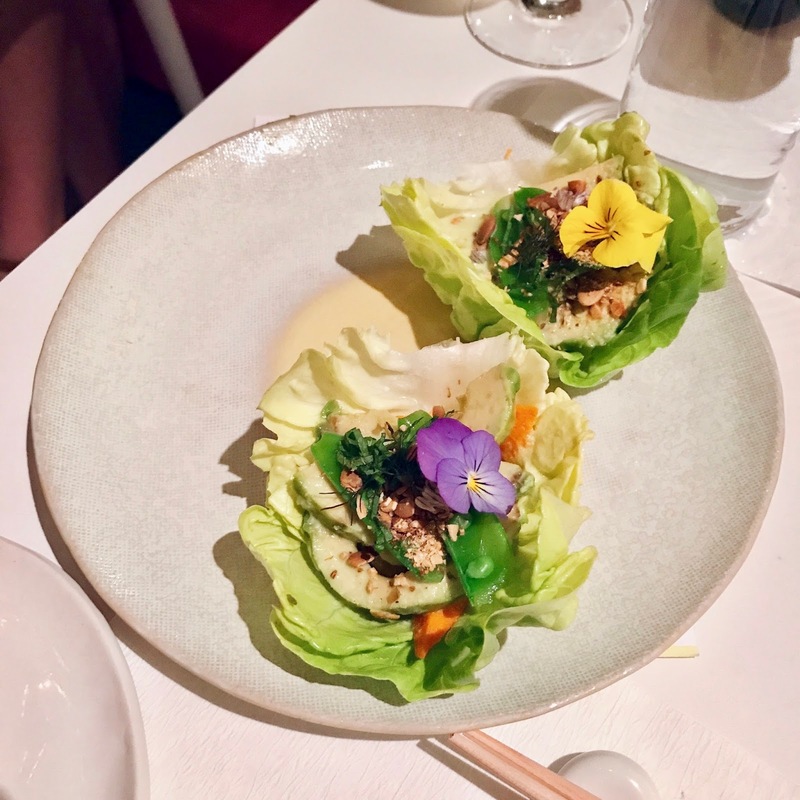 It's exactly the kind of food I love, and it shows the world how tasty high-end plant-based food can be, which is a big step in the right direction. I really hope more big chefs like Jean-Georges start focusing on plant-based food. I can recommend everyone to give abcV a try, no matter what your food preferences may be. I've also heard great things about their breakfast, so I'd love to try that soon!